If you are planning a trip to Texas in the near future, consider exploring the many wineries along the Texas Hill Country Wineries trail. Not only are there over 50 spectacular wineries to tour and appreciate, but there are many options for accommodations along the way as well. The trail spans from Austin to Lampasas and to New Braunfels, TX. Annually, the wineries experience an astounding five million visitors who are amazed by the unique winemaking techniques, the gorgeous scenery along the trails, and the Texas charm and hospitality. Wine connoisseurs, newcomers and everyone in between will love to explore the Hill Country Wineries either on a self-guided tour or an organized Trail, for which tickets may be purchased ahead of time. 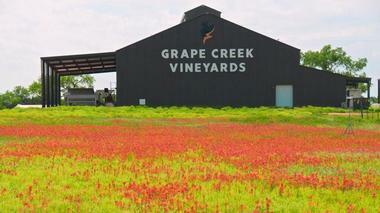 In fact, October is a favorite time of year to visit, since it is Texas Wine Month. There are three other pre-planned Trails throughout the year to participate in which include: the Christmas Wine Affair, the Wine Lovers Trail and the Wine & Wildflower Trail. Each winery has their own business hours and tasting policies so it is recommended that guests plan out and research ahead of their trip which wineries to visit at what time. It's not possible to walk the trail due to the vast area covered by the wineries. Travelers should plan to visit two or three per day, in close proximity to each other, along with a designated driver. Guests can take a self-guided tour around this Dripping Springs winery, where they will find two hospitable owners and their two dogs. The tasting room offers great views of the cedars and oaks on the property, while the “old” Texas architecture creates a rustic, charming atmosphere. Guests can also enjoy tastings on the outdoor patio, or just lounge and relax. Guests are encouraged to bring along a picnic and their friendly dogs to enjoy the grounds and a lovely lunch. They are happy to host weddings and meetings on the property as well. The Estate is located 20 miles east of Marble Creek and is the where the vineyard is located. This is where the wine is made and bottled as well as where guests can take tours on Saturdays and Sundays. Group tours of eight or more can also be pre-booked. The wine tasting views overlook the scenic vineyards with plenty of seating for everyone. At the Estate, there is The Bistro restaurant for guests to enjoy a delicious dinner by reservation from Thursday to Sunday only. The tasting room is open Tuesday to Sunday from 11 a.m. to 5 p.m.
Enoteca is located directly in Marble Falls and is the urban wine bar location for the Flat Creek family. Guests can sit and enjoy wine tastings as well as wine and appetizer pairings. The Enoteca location features The Wood-Fired Oven which serves a menu of wood-fired foods as a relaxed dining option. Both the tasting bar and Wood-Fire Oven are open Tuesday to Sunday 11 a.m. to 9 p.m. Located just west of Stonewall, this winery features a newly built 3000 square foot multi-level deck for guests to enjoy tastings and glasses of wine under the shade of the surrounding oaks. Not only will guests love the wines, but also the service. Patrons sit and wait at their table to be served the wines, restaurant style. There is often live musical entertainment on the back deck to enjoy in the afternoons. Guests can choose to pair their wine selections with a cheese plate to have a little snack along the Trail. They feature a wine club, which offers members discounts and exclusive tasting opportunities as well as email newsletters. Hours are Monday to Saturday 11 a.m. to 6 p.m. and Sunday 12 p.m. to 6 p.m. 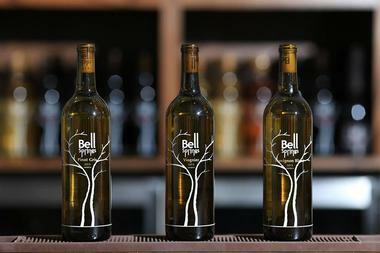 This organically focused winery, with sustainable practices at the forefront, is located just outside of Comfort. 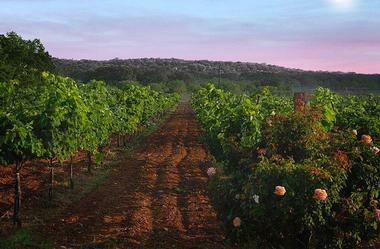 It boasts 56 acres of gorgeous scenery and 16 different varieties of grapes being grown in their 20 acre vineyard. 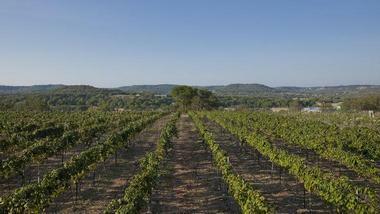 Their signature grape, the Tannat, has become very popular in Texas and is a frontrunner in the winemaking industry. Guests can take a tour or enjoy a tasting of some of their award winning wines. Their hours are Thursday 11 a.m. to 5 p.m., Friday and Saturday 11 a.m. to 6 p.m. and Sunday 12 p.m. to 5 p.m. There is a satellite tasting room, Branch on High, which is found in downtown Comfort and offers the Bending Branch wines for tasting, by the glass or by the bottle. They also take reservations for private tastings, parties and classes as well. 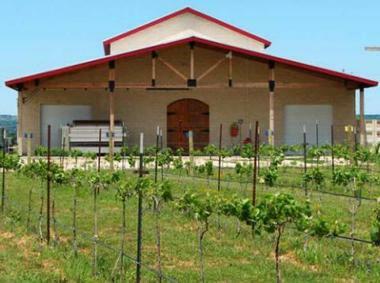 Featuring unique Texas wines, this winery is located just outside of New Braunfels and offers both public and private tastings. Throughout the year they host different events, including grape stomps and education classes all about wine. The on-site gift shop is the perfect location to buy that one of a kind wine oriented gift for a loved one or yourself. They want you to have a good time at this winery, which is why the atmosphere is laid back and casual. Weddings and private functions are always welcome at the vineyard. Hours of Dry Comal Creek are Monday to Sunday from 12 p.m. to 5 p.m. This secluded, scenic winery is found just a short drive from Fredericksburg, away from the hustle and bustle of traffic and congestion, amongst the beautiful Hills country. Guests will love the old west charm of the saloon style tasting room where they saddle up to the bar area to get a taste of the award winning wines available. The atmosphere is both laid back and casual, as their livestock are free to roam the grounds, and the rustic buildings boast barn board accents and Texas charm. Guests can grab a bite to eat at the on-site Pizzeria or just enjoy the outdoor patio. They are happy to reserve group bookings for parties or weddings. There is a wine club for those interested in joining as well. Dogs are permitted on-site and the hours of operation are daily from noon to 6 p.m.
A small boutique style winery, Compass Rose Cellars is located in Hye and offers a tasting room to experience their Texas sourced wines. They have also recently opened a restaurant on the premises, The Restaurant at Compass Rose. While guests do not require a reservation for the tasting room, it is still recommended so that they can plan ahead for your visit to serve you to the best of their ability. Reservations are also recommended for the restaurant, which serves many different selections, all wine-friendly of course. The hours of the winery are Wednesday and Thursday 2 p.m. to 6 p.m., Friday and Saturday 12 p.m. to 6 p.m. and Sunday 12 p.m. to 5 p.m. The Restaurant is open Wednesday to Sunday 6 p.m. to 9 p.m.
Becker Vineyards is known for their outstanding quality wines, which have been featured on the Fine Living Channel as well as served at the White House. They are located in Stonewall and hand-craft Bordeaux, Rhone and Burgundian-style wines which pair perfectly with anything from fine dining to casual cuisine. Guests can elect to book a private tour or just sample some their fine wines in the tasting room for a fee. There is also light fare offered at this winery for those looking for a little bite to eat. Guests can experience tours of the winery and the custom cellar as well. Dogs are permitted here and they do offer wedding packages in the Lavender Haus Reception Hall. Their hours are Monday to Thursday 10 a.m. to 5 p.m., Friday to Saturday 10 a.m. to 6 p.m. and Sundays 12 p.m. to 6 p.m. 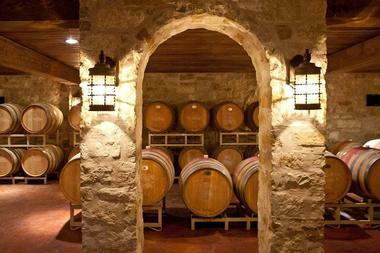 Guests will fall in love with the Tuscany inspired atmosphere at the Duchman Family Winery. 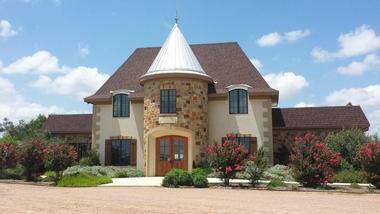 Located in Driftwood, this family operated winery creates Italian inspired wines using only Texas grown grapes. The old stone architecture adds to the Tuscan feel, along with the gorgeous scenic grounds. The outdoor picnic areas are ideal for enjoying a packed lunch and bottle of wine or lounge under the covered patio. The Italian Villa-style event space is perfect for parties, events and weddings. Dogs are permitted in outdoor areas only and their hours of operation are Monday 12 p.m. to 6 p.m., Tuesday to Thursday and Sunday 11 a.m. to 8 p.m., and Friday and Saturday 11 a.m. to 9 p.m. 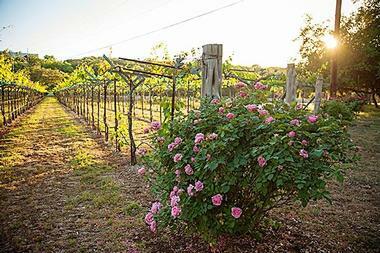 Established in 1975, this is the oldest vineyard on the Hill Country Trail. Located in Tow, on the northwest shores of Lake Buchanan, this vineyard boasts many awards and accolades throughout its decades in business. Guests can tour the waters via the Fall Creek Falls boat tour, indulge in some light fare in the shady picnic area or enjoy tasting the flavorful wines of the Fall Creek Vineyard. There is a gift shop on-site as well for mementos and wine inspired gifts. Guests can visit Monday to Friday from 11 a.m. to 4 p.m., Saturday 11 a.m. to 5 p.m. and Sunday 12 p.m. to 4 p.m. The tasting room at this winery is a small getaway in itself. With tonnes of room for sitting, a patio and a picnic area, guests can enjoy a sampling of wines while taking a break or grabbing a bite to eat. They are located six miles east of Fredericksburg, in the Ricky Hill Complex. Their speciality is their sweet wines with unique, memorable flavors but they also have a great line of dry wines available. Every Saturday and Sunday afternoon guests are entertained by live music on the patio. The hours are Monday to Friday from 10:30 a.m. to 6 p.m., Saturday 10 a.m. to 6 p.m. and Sunday from 11 a.m. to 6 p.m. This vineyard and winery, located in Hye, focuses on Texan pride and the history of winemaking in the State. Guests are encouraged to make reservations for Friday to Sunday since this is the busiest times for tastings and tours. They offer tastings or wine by the glass, plus a selection of Texan made cheese to pair nicely with their wines. Guests can become educated all about Texas winemaking with offerings of classes. Guests can even enjoy barrel tastings for an added authentic flavor. The hours of operation are Monday to Wednesday 10 a.m. to 5 p.m. Thursday to Saturday 10 a.m. to 6 p.m. and Sunday noon to 5 p.m.
USA Today has named this winery one of the top three producers in Texas. 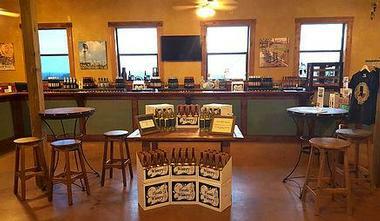 The Switzer family owns and operates this well rounded winery which is located right on Main Street in Fredericksburg. 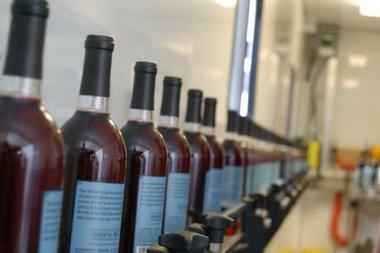 They produce a vast selection of wines from reds to whites to ports and Sherries and even sweet dessert wines. Guests can do a self-guided tour or book a private tour at this winery, however, there is no tasting room. There are educational courses available such as Wine 101, where one can learn all about the different types of wines and find out inside information on producing wine. They also have a wine club to join named “Flight Club”. Hours of operation are Monday to Thursday 10 a.m. to 5 p.m. Friday and Saturday 10 a.m. to 7 p.m. and Sunday noon to 5:30 p.m. This one stop shop type winery provides guests with not only tasting options, but cellar tours, a trattoria with a delicious wood-fired menu and a shaded patio area. With an overall Tuscany feel, guests will feel as though they took a trip to Italy. The tasting room and event center provide a romantic atmosphere done in the styling of an Italian Villa. They are located in Fredericksburg along Highway 290. Guests can book a Taste and Tour package and will ride along in a small vehicle around the vineyards and for a tour of the production area plus the cellar along with barrel tastings, followed by tastings on the beautiful patio. Hours of operation are Monday to Friday 11 a.m. to 6 p.m., Saturday 10 a.m. to 6 p.m. and Sunday 11 a.m. to 5 p.m.
One of the top 101 American wineries according to Daily Meal, this Fredericksburg estate boasts a higher end winery experience for its patrons. There are different tasting options available, including private tastings with the winemaker, Dan Gatlin. 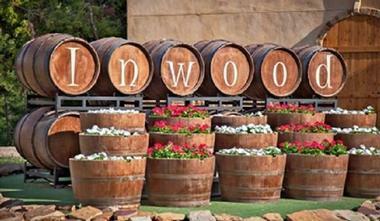 Inwood uses only the highest quality Texas grapes to create their exquisite wine selections. Guests can enjoy the outdoor patio, the bistro and “The Grove” where dogs are welcome. The hours are Monday to Thursday plus Sunday 11 a.m. to 5 p.m. and Friday and Saturday 11 a.m. to 6 p.m. 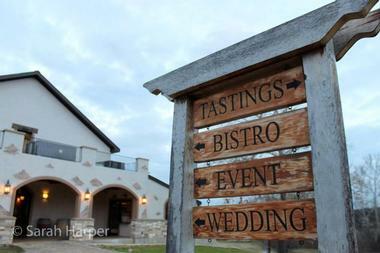 Guests will find an array of tempting wines to taste at Spicewood Vineyards. 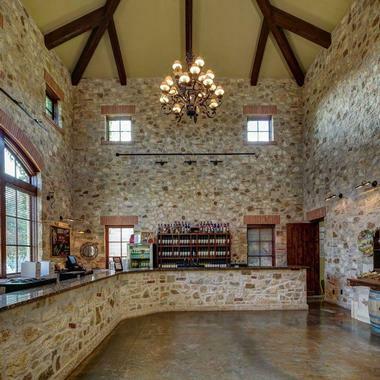 They are set on a 32 acre vineyard in Spicewood, and have a relaxed tasting area for guests to enjoy a selection of their 12 varieties of wines. Winemaker tours are also available by reservation. If patrons are searching for an event center, Spicewood has the perfect venue to host, as well as a gift shop and picnic area for guests use. Hours are from Wednesday to Saturday 10 a.m. to 6 p.m. and Sunday noon until 5 p.m. 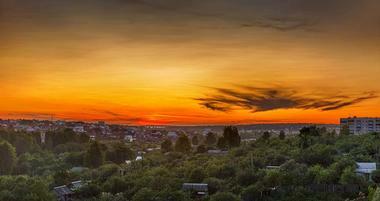 There are many bed & breakfast establishments to choose from, each offering something a little different. In Dripping Springs, visitors will find Mt. Gainor Inn, which is located only 15 minutes from five wineries; Hillside Acres Retreat, offering six elegant cabins and a one bedroom guest house all fully furnished and ultra-comfortable; and Camp Lucy Cottages, offering delicious breakfast and plush, comfortable rooms. In Wimberley, travelers can choose have a look at All Wimberley Lodging, which offers a reservation service and has access to cozy, romantic cottages, homey bed and breakfasts, and stunning vacation homes on the river. Blair House Inn is also located in Wimberley and boasts 12 rooms/suites plus an art gallery and cooking school. Guests can also indulge in spa services. If heading to Fredericksburg, visitors and stay over at The Back Forty of Fredericksburg which is the perfect place to call home base while touring the Trail. 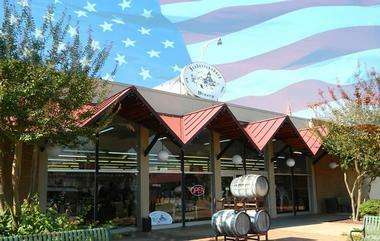 It is located within easy distance to many of the Fredericksburg wineries and vineyards. Guests stay in their own private cottage and can enjoy spa services as well as the nearby creek for beautiful views or to try their luck at fishing. Cotton Gin Village is another option, which resembles an 1870's log cabin village complete with waterfalls, limestone walls and surrounding gardens. A combination winery and bed and breakfast option, as previously mentioned is Messina Hof Hill Country, with four themed, private retreats to choose from. Gasteus Schmidt is an alternative to finding accommodations on your own in Fredericksburg. They are a reservation service with over 125 options of top notch accommodations available in their pool of lodging choices. They have special packages available for those looking to tour the Texas wine trail, as well as trip planning assistance with transportation and other ideas for romance or spa trips. Gift certificates are available through their website for anyone wishing to give the gift of travel. If you prefer a hotel, there are a couple of options available along the Trail. Fredericksburg Inn & Suites offers guests a relaxing, yet very elegant atmosphere on their five acre property. They are located along Barons Creek, giving guests a feeling of seclusion and tranquility without being too far from downtown. They feature 94 guestrooms and nine suites to choose from, plus two pools and a large outdoor hot tub. Horseshoe Bay Resort is another hotel option, located in Horseshoe Bay and providing guests with true luxurious comfort. On-site, guests will love the 72 holes of golf, the full service spa and salon, a marina, tennis courts and dining by the waterfront. There are over 380 guestrooms as well as waterfront condos and tower suites. There are endless activities to enjoy at the resort as well, whenever travelers are not exploring the wine country trail. Guests will be staying in ultra-luxury at the Horseshoe Bay Resort. Depending upon each traveler's wishes and preferences, there are accommodations to suit every taste and budget. The website, texaswinetrail.com is a wonderful resource for available lodging options, as well as descriptions of each type of accommodation. Visitors can reserve at one or a few different accommodations to explore the entire Trail. 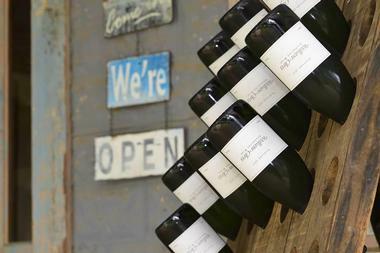 Texas wine country will not leave any visitor disappointed.